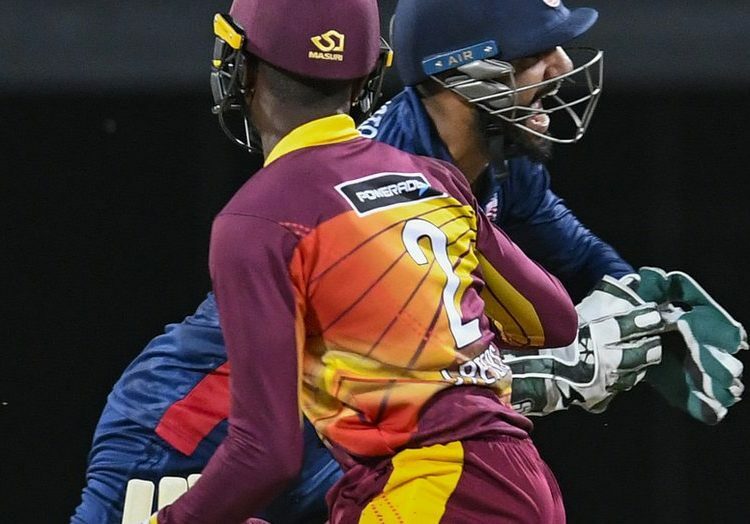 BRIDGETOWN, Barbados– Nosthusha Kenjige and Timil Patel sent ripples through Group “B” of the 2018-19 WINDIES Super50 Cup, when they bowled the United States to an 88-run victory over Leeward Islands Hurricanes on Wednesday here. Left-arm spinner Kenjige and part-time leg-spinner Patel shared five wickets and backed up the work of their side’s pace bowling side, as the Americans claimed their first victory of the Tournament. 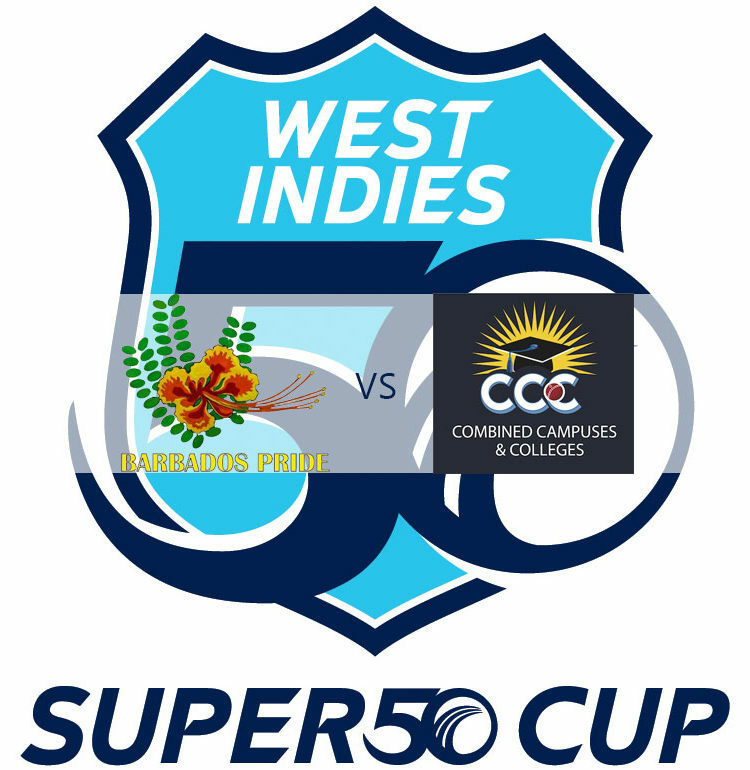 In the other Group “B” contest, Carlos Brathwaite put in the clichéd captain’s performance to lead Combined Campuses & Colleges Marooners to a seven-wicket victory over territorial rivals Barbados Pride. At Kensington Oval:Kenjige grabbed 3-22 from eight overs to earn the Player-of-the-Match award and Patel completed a tidy all-round performance with 2-4 from 2.1 overs to undermine the Hurricanes’ pursuit of a target of 198. 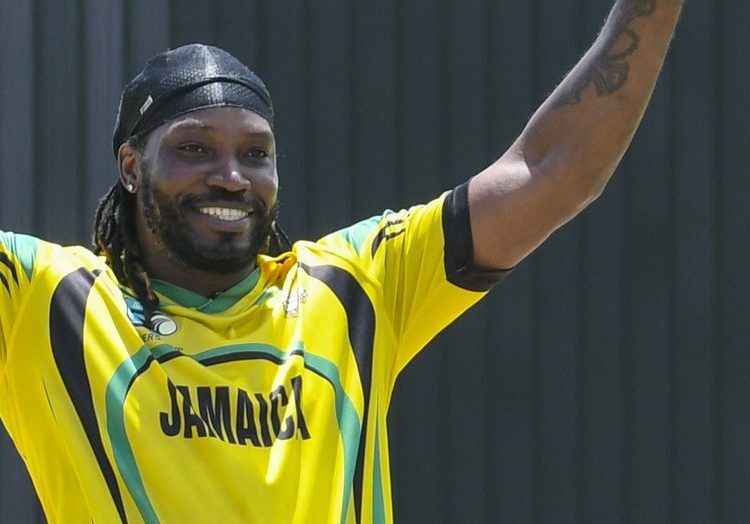 Orlando Peters hit half-dozen boundaries in the top score of 37 from 35 balls, but no other batsman reached 20, as the Hurricanes were bowled out for 109 in 30.1 overs. Earlier, Patel was one of a handful of United States batsmen that got starts, but failed to carry on, leading the way with a circumspect 39 from 80 balls. Monank Patel scored 27, Steven Taylor made 22 and Alex Amsterdam got 21. Leg-spinner Damion Jacobs was the pick of the Hurricanes bowlers with 3-40 from 10 overs; Rahkeem Cornwall, Jeremiah Louis and Chesney Hughes supported with two wickets apiece. At the Three Ws Oval: Brathwaite struck three fours and three sixes in an unbeaten, even 50 from 31 balls, as the Marooners successfully chased 175 for victory. He shared a 90-run – unbroken – fourth-wicket stand with Jonathan Drakes, whose 41 from 46 balls included four boundaries. Marooners had a strong start with openers Kyle Corbin and Kjorn Ottley sharing 70 before they were dismissed – and the home team stumbled to 88 for three in the 20th over. Brathwaite joined Drakes and they carried the Marooners over the finish line in the 32nd over. There was neither substance nor stability from the Pride, after they were sent in to bat, except for a period where Kevin Stoute joined left-hander opener Shayne Moseley and they put on 40 for the fourth wicket. Moseley made 49 from 87 balls to lead the way, Stoute supported with 37, Shamar Springer got 22 and Miguel Cummins made 20. Brathwaite was the pick of the Marooners’ bowling with 3-21 from 10 overs and Akeem Jordan took 3-36 from 9.2 overs. PORT OF SPAIN, Trinidad – A career-best, unbeaten 99 from Christopher Barnwell and an even half-century from Raymon Reifer formalised a seven-wicket victory for Guyana Jaguars over Canada in the WINDIES Super50 Cup on Tuesday here. Barnwell led the way with a 76-ball knock that was spiced with seven fours and four sixes, and Reifer was not out 50 from 58 balls that included three fours and one six, as the 10-time champions secured their second bonus-point victory in the rain-marred contest to move into second-place in Group “A”. In the other contest, rain forced a no-result between WINDIES “B” and Windward Islands. At the Brian Lara Cricket Academy: Chasing 203 for victory, the Jaguars always looked ahead of the game, even though they lost a cluster of wickets in the space of 12 deliveries that left woozy on 51 for three in the eighth over. But left-hander Reifer came to the crease and settled the nerves, when he linked with Barnwell to put on 153 – unbroken – for the fourth wicket that got the Jags over the finish line in 29.4 overs – a healthy enough scoring rate to earn them a bonus point. No Canada bowler distinguished himself, but Romesh Galkandage Don poached 2-29 from six overs. Earlier, Navneet Dhaliwal hit the score for Canada of 88 from 110 balls that contained seven fours and three sixes and was the glue that held the innings together before his dismissal in the 38th over triggered a slump. He dominated stands of 45 with Harsh Thaker and 43 with Nitish Kumar for the third and fourth wickets respectively, but it was his fifth wicket stand of 59 with skipper David Jacobs that gave the Canadians the basis for a total of 202 for nine in their rain-reduced allocation of 47 overs. Jacobs made 44, but the dismissal of Dhaliwal saw Canada lose five wickets for 37 in the space of 57 delivaries. No Jaguars bowlers distinguished himself, but Jamaica-born, former WINDIES Under-19 captain Ramaal Lewis, Clinton Pestano and Reifer claimed two wickets apiece. 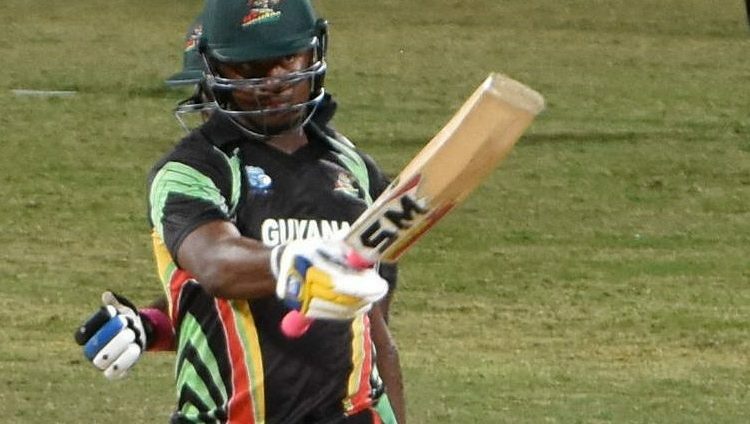 At Queen’s Park Oval: Though opener Tyrone Theophile was forced to retire hurt after the fourth over, Volcanoes had made a strong start to reach 48 without loss in their pursuit of 221 for victory, when wet conditions, due to rain, forced the remainder of their innings to be abandoned. Veteran left-handed opener Devon Smith was not out on 27 and former WINDIES batsman Kirk Edwards was not out nine. Earlier, former WINDIES Under-19 star Alick Athanaze had continued his good form with the ball, grabbing 3-49 from 10 overs, to be the pick of the Volcanoes bowlers, as WINDIES “B” were bowled out for 220 in 48.4 overs. Fellow slow bowlers Larry Edward and Kavem Hodge supported with two wickets apiece. 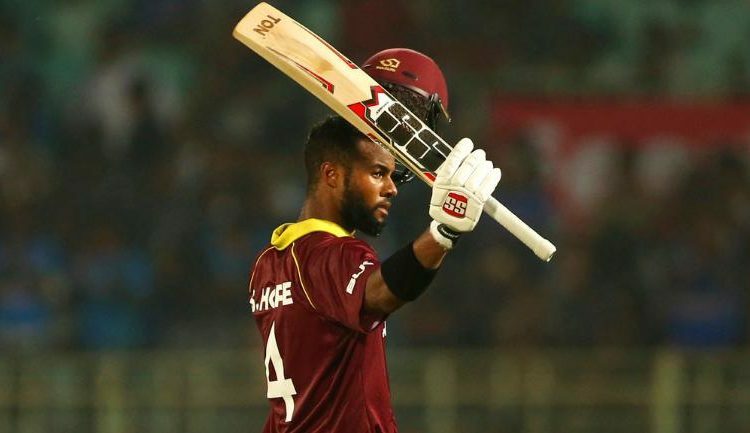 WINDIES “B” got starts from several of their top-order batsmen with Keagan Simmons leading the way with 57 from 83 balls that included five fours. Tevin Imlach supported with 43, Kimani Melius made 33, Kirstan Kallicharran added 29 and WINDIES “B” captain, veteran batsman Marlon Samuels got 24. WINDIES “B” too, started strongly, reaching 142 for three in the 28th over, but they ran out of steam in the second half of the innings, as the Volcanoes bowlers worked their way through. 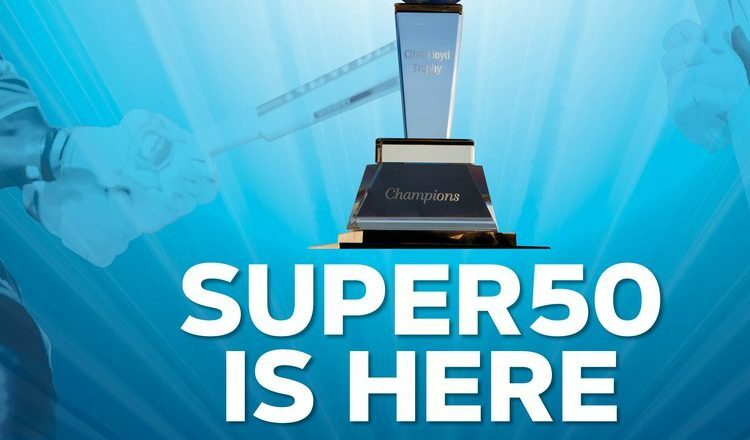 St John’s, ANTIGUA – The Super50 Cup bowls off next Wednesday, October 3 in Trinidad with defending champions, the Windward Volcanoes, taking on the Trinidad Red Force at the Queen’s Park Oval. 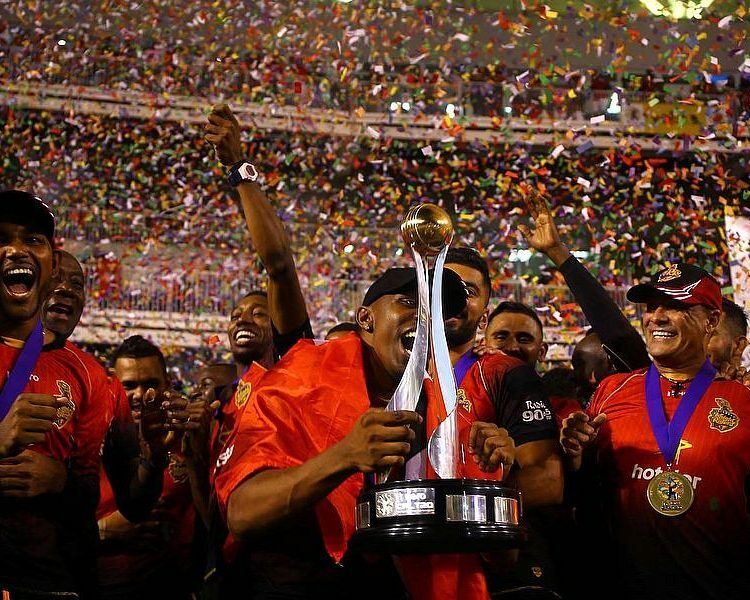 The six Franchises will once again be joined by the Combined Campuses and College (CCC) Marooners and the USA, with Canada and WINDIES B completing the ten teams. Matches will be played in Trinidad and Barbados, with the Brian Lara Academy, Queen’s Park Oval, Kensington Oval, 3Ws and Windward the confirmed venues. With the WINDIES now qualified for the 2019 Cricket World Cup, the region’s best 50-over players, that aren’t touring India with the Test team will be looking to impress the selectors and force their way into the WINDIES ODI squad. ESPN Caribbean is once again partnering with CWI to show 13 matches live matches from Kensington Oval, with all other matches streamed live on the WINDIES Cricket YouTube channel and the redesigned www.windiescricket.com. Tickets are on sale with affordable early-bird offers from just BDS$10 or TT$35 available online through the “Buy Tickets” button on the new Windiescricket.com website. Ticket booths at Kensington Oval, Queens Park Oval, and Brian Lara Cricket Academy will be open from week starting October 1. Patrons over 60 with IDs will be free as do children under12 when they attend with a paying adult. For matches played at the 3Ws ground and Windwards in Zone B (Barbados), fans can watch for free. 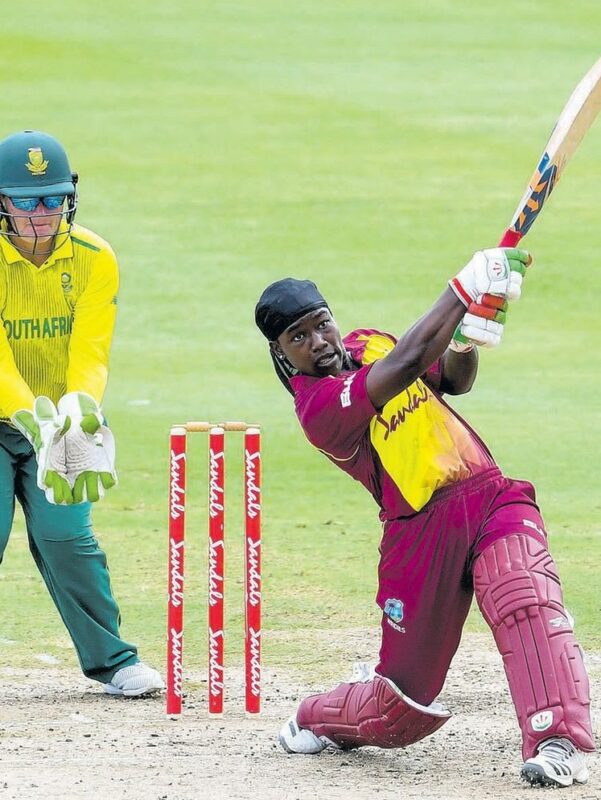 DEFENDING World Women’s T20 champions West Indies opened their Sandals International Home T20 series with a 17-run victory over a youthful South Africa team which featured four debutantes, at Kensington Oval yesterday. 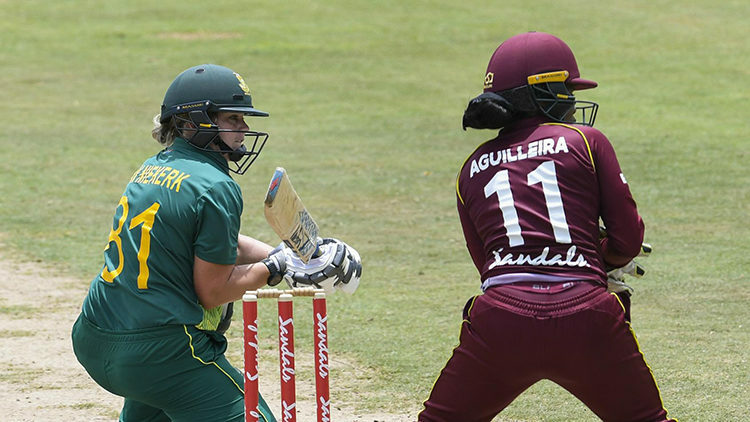 Dane van Niekerk’s half-century helped South Africa get to 177/8 before rain washed out the second one-day international in Barbados. 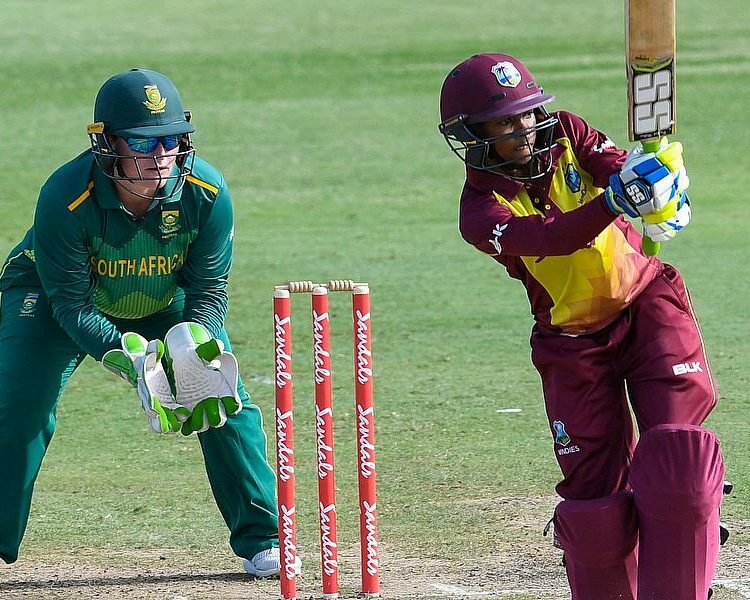 Resolute batting from Shemaine Campbelle failed to inspire WINDIES Women and South Africa Women cruised to a 40-run victory in the first ICC Women’s One-day International of the Sandals International Home Series on Sunday here.